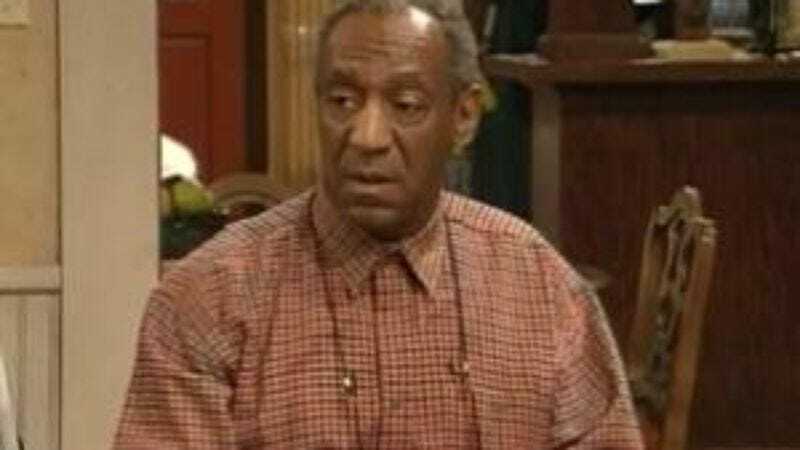 Looks like Cosby, the Bill Cosby-starring sitcom about a retiree who isn’t, but could be mistaken for, Cliff Huxtable that ran from 1996 to 2000, will be joining The Dukes Of Hazzard on the scrap heap of TV history. Variety reports that Bounce TV, the “African-American focused, advertiser-supported” broadcast channel that mainly runs old episodes of The Bernie Mac Show and A Different World, is pulling Cosby from its syndicated lineup. The network says the move will be effective immediately, meaning it’s going to have to find something to replace the two episodes of the show scheduled today at 5 and 5:30 PM. Incidentally, The Wrap reports that it was Cosby’s self-appointed moral watchdog status that led Judge Eduardo C. Robreno to agree to unseal the court documents that led to this newest round of evidence against Cosby. “[Cosby] has donned the mantle of public moralist and mounted the proverbial electronic or print soap box to volunteer his views on, among other things, childrearing, family life, education, and crime…He has voluntarily narrowed the zone of privacy that he is entitled to claim,” Robreno says.